A new Technical Application Submission (TAS) service which allows you to apply for an Individual Vehicle Approval (IVA) test online was launched earlier this year. The vehicle type approval system is a mine field and not something that I would attempt to try to cover here, but I contacted the DVSA to find out more about how the online system works. To get an industry perspective from someone who uses IVA applications, Dave Wiggins, Production Manager at Stanford Coachworks was happy to oblige. The vehicle will undergo a physical inspection at a Driver and Vehicle Standards Agency (DVSA) site in Great Britain or by the Driver and Vehicle Agency (DVA) if in Northern Ireland. There are currently seven approved DVSA sites in the UK that specialise in IVA certification for bus and coaches (categories M2 and M3) These are the DVSA sites in Gillingham, Manchester, Bristol, Edinburgh and Derby and two privately owned sites where examinations are conducted by DVSA staff. According to the DVSA, over 90% of applications are processed between Gillingham, Manchester, Derby and the two privately owned sites. Once certified, it doesn’t automatically mean that it meets the requirements of every European country, but under the European ‘Mutual Recognition’ provisions, it may be accepted in other EC countries subject to confirmation by the authority of that country. When might you need an IVA? 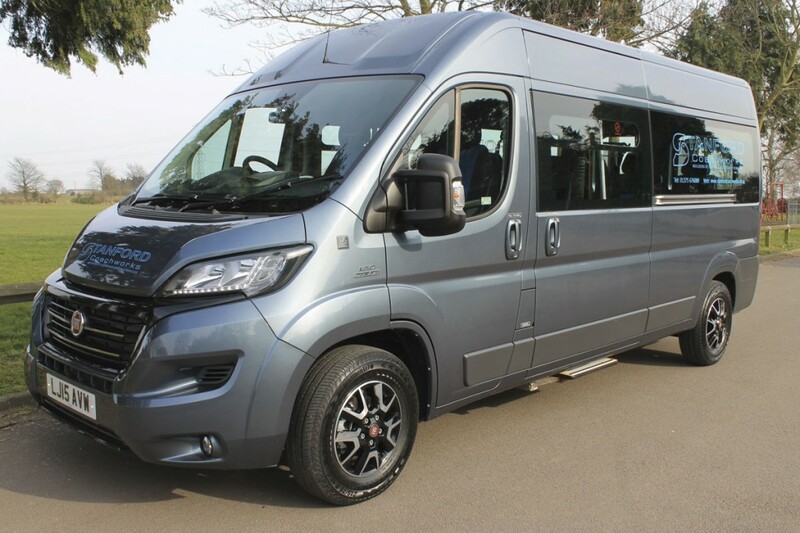 I had expected in the bus and coach category that it would apply mainly to conversions but the DVSA informed me that the vehicles submitted for inspection cover the full spectrum, from van conversions to bespoke three axle vehicles. The DVSA say they have been working with their customers to introduce a more effective application scheme that will cut down the time of the current process for applying for an IVA test. The new system means that you are now able to complete an online IVA application form, attach your supporting documents and send it directly to the DVSA. I asked them how long the process takes and was advised that last year they had calculated ‘based on paper submissions, an average end-to-end processing time of 20 working days on receipt of a correctly completed application form.’ Understandably, they are still measuring the average processing time for the new, online system, but are actively encouraging all customers to apply. Once the application has been processed and approved, the DVSA will send it straight to the testing location that you requested on the form and you will be offered an appointment. Stanford Coachwork’s nearest testing station is at Gillingham, 40 minutes away. He has used a DVSA approved independent testing facility in the past but his experience usually included a delay with the paperwork. Security was another concern to many when submitting paper applications, as a card payment method had to be supplied along with the paperwork. With the TAS system, these do not need to be supplied at the time of submission, an automatic email alert will be sent to the applicant requesting that they contact the department for payment. ‘The old system was always a pain’, commented Dave. ‘They always seemed to lose our cheques. In the last three to four years, they seem to have lost one every two months or so, so we moved over to a pre-funded account. It’s so much more convenient.’ He explained that you decide how much you want to put in to the account and you set the notification limit. Once this limit has been met, they send you a warning to advise you that the funding is getting low, not dissimilar to how many of the high street banks work. According to the DVSA, they have received some very positive feedback from users. They are now keen to get more customers using the service as some people are still submitting applications by post. For those customers struggling to get the form to load, this may mean that your operating systems are out of date, the installation of a new browser may be a solution. 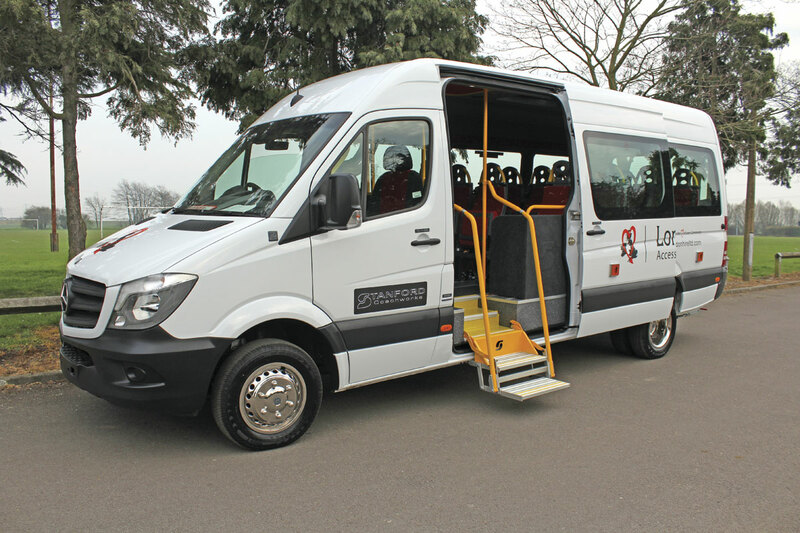 Stanford Coachworks have over 15 years experience in the custom built minibus and conversions market, including luxury mini coaches, wheelchair accessible vehicles and ambulances.